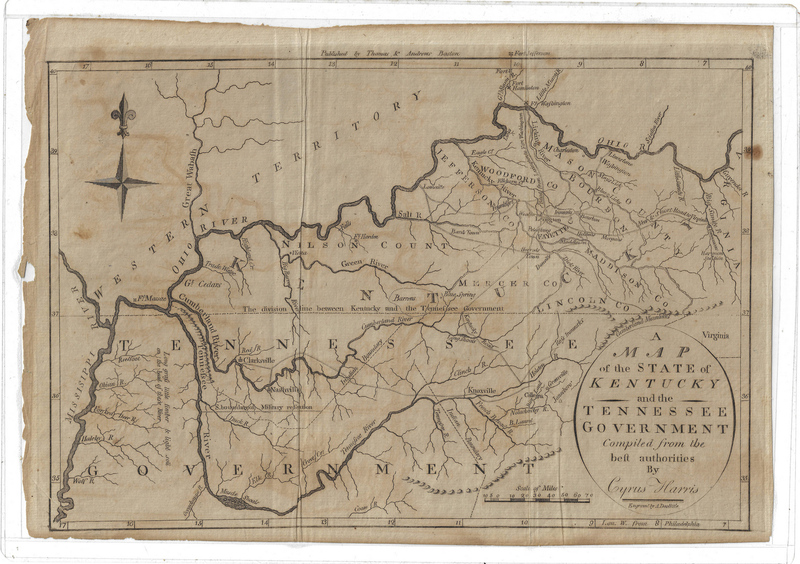 Cyrus Harris, A MAP OF THE STATE OF KENTUCKY AND THE TENNESSEE GOVERNMENT COMPILED FROM THE BEST AUTHORITIES from Jedidiah Morse's The American Universal Geography. Boston: Thomas and Andrews, 1796. Engraving by Amos Doolittle. 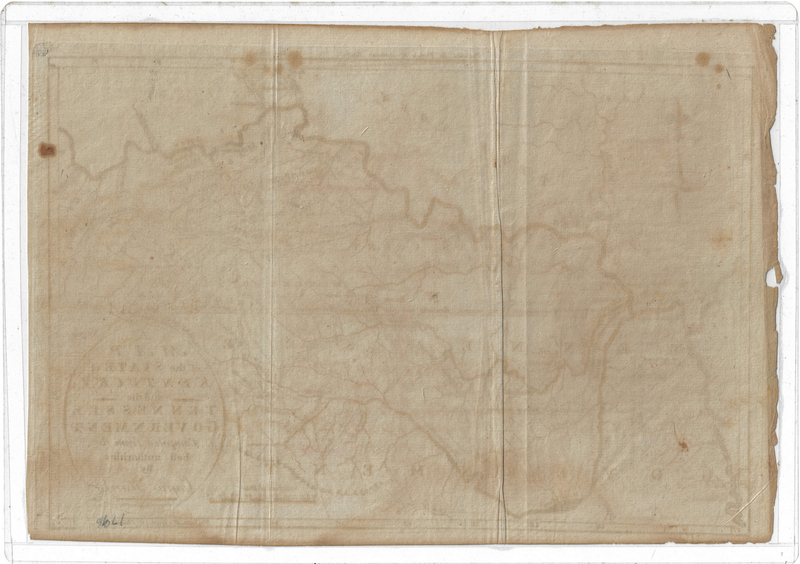 Indian boundaries and the Southern boundary of the military reservation set aside for veterans of the North Carolina troops are shown. Roads shown include the "New and Short Road to Virginia." Many forts are indicated including Fort Washington, Fort Massac and Fort Jefferson. Image – 7 1/2" H x 11 1/2" W. Plate – 8 1/8" H x 11 7/8" W. Sheet – 8 3/8" H x 12" W. Unframed. Provenance: The estate of Dr. Benjamin H. Caldwell, Nashville, Tennessee. CONDITION: Overall toning and light foxing, losses along left edge from removal from book. Sealed in plastic sleeve.